Guest post written for Eduspire by Theresa Bartholomew, modern librarian, tech enthusiast, and level 2 Google Certified Educator. 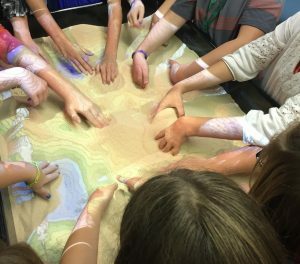 Many of today’s librarians are integral to school technology initiatives, responsible for co-teaching, curriculum development, administration, vetting new resources and tools, and more. In Part I of this two-part post, Theresa shares what an average day looks like for her at Warrior Run Middle School in Turbotville, PA. If you step foot in the Warrior Run Middle School library, watch where you step or you might get run over by a robot! We don’t shush students, we give them a purpose. Some students are getting books, some are doing homework on the Chromebooks, some are collaborating on projects for clubs and others are making screencasts. In our space, we provide authentic learning opportunities, so there’s a quiet buzz as students work toward their goals. 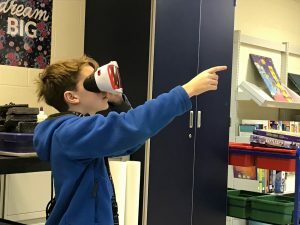 In a middle school that currently encompasses 4th through 8th grade, we focus on exposure to a variety of resources so that each student can tinker and explore. Once they know what sparks their interest, they choose that as a focus, using questions to direct their deep dives into new ideas. In order to help me show how to use a new resource, I use my tech sharks to become tech-sperts. My student group of tech leaders are key to rolling out resources and tutorials to teachers and students. They also help with troubleshooting issues. They are in teams and I give each team a project, such as learn about the Raspberry Pi, how to use it, then prepare some information for other students to share out. They love it, since it means they get to explore and learn how to use the resource. I had some trouble tearing them away from their task, though, when I let them use codecademy.com to learn basic coding skills. Jumping on the maker wave, I have created a small makerspace in the library. My tech sharks have helped with putting a system in place for this as well. It includes K’nex, Stikbots, Sphero robots, Keva Planks, LittleBits, and Snap Circuits. This space has been very popular with students, with the most exciting development being students combining these resources in a makerspace smash up of ideas, using the K’nex to make a chariot for the Sphero that they drive into a wall of Keva Planks. I love to see their innovation. In May 2015, I won a classroom innovation grant to buy 12 sphero SPRK+ robots for the makerspace. These Spheros have been essential to introducing older elementary students to beginning coding skills and applications. 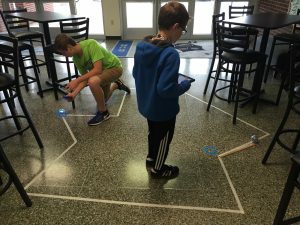 Challenges such as coding the sphero to move along a predetermined line have allowed students to think critically about the different elements necessary to complete such a task. When the task becomes too much, they enjoy taking a mental break and making it zoom around while the sounds play. With the support of the other modern librarian members of the Pennsylvania School Library Association (PSLA), I have learned about a variety of resources. These include the PA eBook Consortium, tips and tricks for the best makerspace, integrating technology in classes, project-based learning, and how to start conversations with your administration. Being a member of the listserv is a must for any PA school librarian. Beyond finding necessary quality resources for students is doing the same for our teachers. My building teachers depend on me to bring them the best resources in instruction and educational technology. By attending the PSLA conference and PETE&C (Pennsylvania Educational Technology Expo and Convention), I am able to learn about the best resources for our district and share them in meaningful ways with our teachers. This includes sharing via blog, Twitter, faculty meetings, in-service trainings, individually, and at team meetings. Every teacher’s preferences are different, so I try to be as flexible as possible to meet their needs, just as a teacher does with their students. No tool is right for every teacher, either, so they depend on me to give them ideas and options, as well as plans for implementation. 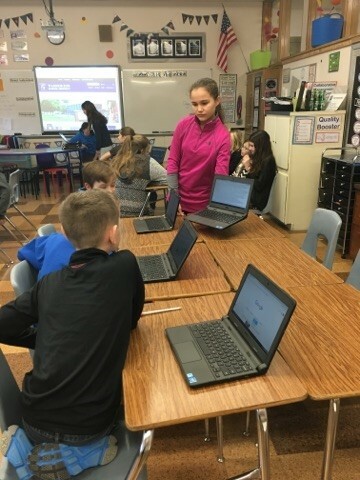 An important part of implementing technology in the classroom is “testing the tech.” For example, if a teacher tests a website on their laptop with their Google account, the results can be drastically different when the student signs into a Chromebook with their student Google account. Other than the difference in the capabilities of the devices, it’s also worth noting that the capabilities of the Google accounts will be different as well because the teacher accounts have more permissions than a student account, which is highly restricted in order to comply with CIPA and COPPA guidelines. No day in the library is ever the same, which is one of the best parts. We are continually growing and changing and learning, which is why teachers usually become educators in the first place — to continue their lifelong learning! I love being able to learn side-by-side with my fellow teachers and students, which is just another piece of the job. Read more about how I facilitate learning during a day in the life of a modern librarian in the upcoming part II post!